Beloved author Cynthia Rylant offers a sweet story about a day in the life of a family dog as she explores the concept of opposites. Rosie is a very busy little dog. Sometimes she’s good, and sometimes she’s bad. Sometimes she wants to go out, and other times she wants to stay in. But no matter what, Rosie’s family loves her! With adorable illustrations and fun, snappy text, this cozy picture book is the perfect way to introduce young readers to the world of opposites. Linda Davick is the illustrator of several picture books, including the New York Times bestseller 10 Trick-or-Treaters written by Janet Schulman; and We Love You, Rosie! by Cynthia Rylant; as well as her own Say Hello! and I Love You, Nose! I Love You, Toes!. 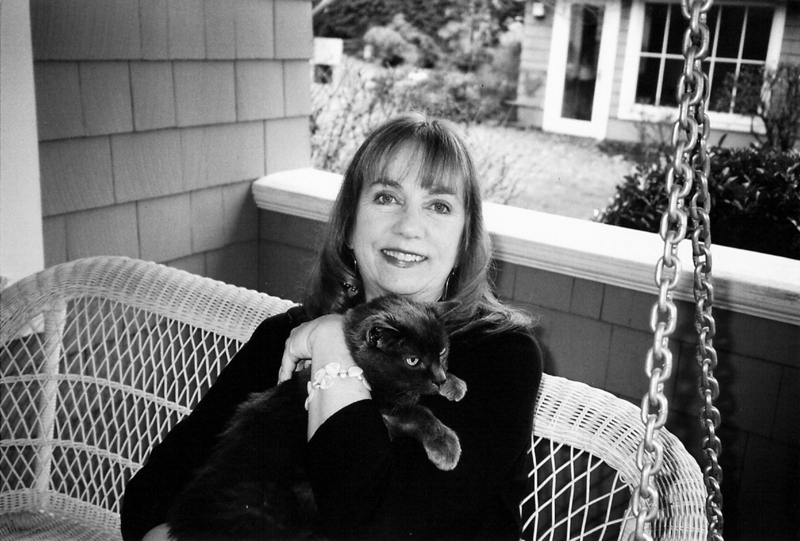 She is also the author and illustrator of the Mimi’s World chapter book series. She lives in San Francisco in a one-hundred-year-old house by the sea. Rylant (Little Penguins) and Davick (Say Hello!) introduce opposites in a series of chapter-like scenarios starring two good-natured siblings and their frisky, floppy-eared dachshund, Rosie. A chatty narrative emphasizes each term while sounding like actual comments children might direct toward a dog. “Hello Rosie, Are you being bad? Oops. Bad eating Rosie!” writes Rylant as Davick shows the dog snagging a bit of pepperoni from an unattended slice of pizza. Colored in a bright, sherbet palette, Davick’s crisp-edged illustrations highlight the characters’ emotions (Rosie looks quite abashed about the pizza incident), and it’s always evident how much love the two round-headed, brown-skinned, eager-eyed children have for their pet. Rosie’s ongoing interest in a wild rabbit helps introduce several opposites (“Hello, Rosie. Do you want out? Rosie wants out of the kitchen”), as does the elongated shape of Rosie’s body, which allows her to be both “in” and “out” of a doghouse at the same time. Zingy repetition and visual cues smartly tailor this story to kids who are learning to read on their own. Ages 3–7. A smiley, brown-skinned brother and sister narrate this tale, which follows their beloved dachshund, Rosie, as she goes about her busy day. The story is broken into very short chapters, each highlighting a pair of opposites. For example, in “Rosie Good and Bad,” Rosie is praised for her “GOOD sitting,” “GOOD barking,” and “GOOD eating.” After snatching a slice of pepperoni pizza off the table, however, she is told, “BAD eating, Rosie!” This is followed by the children reinforcing their unconditional love for the pup, whether she’s good or bad. This pattern is repeated throughout the narrative. The flat cartoon illustrations display simple shapes and bold colors on a white background. The characters, with their round heads and eyes, will appeal to young readers. The basic vocabulary, repetitive text, large font size, and ample spacing make this a good choice for beginning readers. It could also serve as an introduction to opposites. VERDICT While this title is not an essential purchase, its sweet message and utility as an introduction to opposites make it a worthwhile addition. Rosie is a spotted sausagey hound who belongs to a young brother and sister, and who’s the subject of six very short picture-book stories involving concepts and opposites. In each story, Rosie experiences or exemplifies the two opposites, so in “Rosie Day and Night,” “Rosie runs and plays and runs and plays ALL DAY!” and “sleeps and dreams and sleeps and dreams ALL NIGHT”; every story ends with a reminder that whether she’s in or out, good or bad, she’s loved. The streamlined text is scaffolded with repetition, and the affectionate direct address will make for a comradely lapsit readaloud; Rylant also cleverly includes some concrete references (“Have you LOST a ball? Have you LOST a bone? Have you LOST a friend?”) that add point-and-name possibilities for little listeners. Digital art in sweet popsicle colors is cut-out simple, and while its flatness makes it harder to identify details at times, there’s a visual throughline to the scenery (the bunny in the yard, the toy giraffe, etc. appear repeatedly even when they’re not textually featured) that pro- vides audiences with some motif-spotting joy. The chapter format makes this easy to break up to suit teeny toddler attention spans (and brief adult opportunities), and kids will happily return to follow the exploits of Rosie. 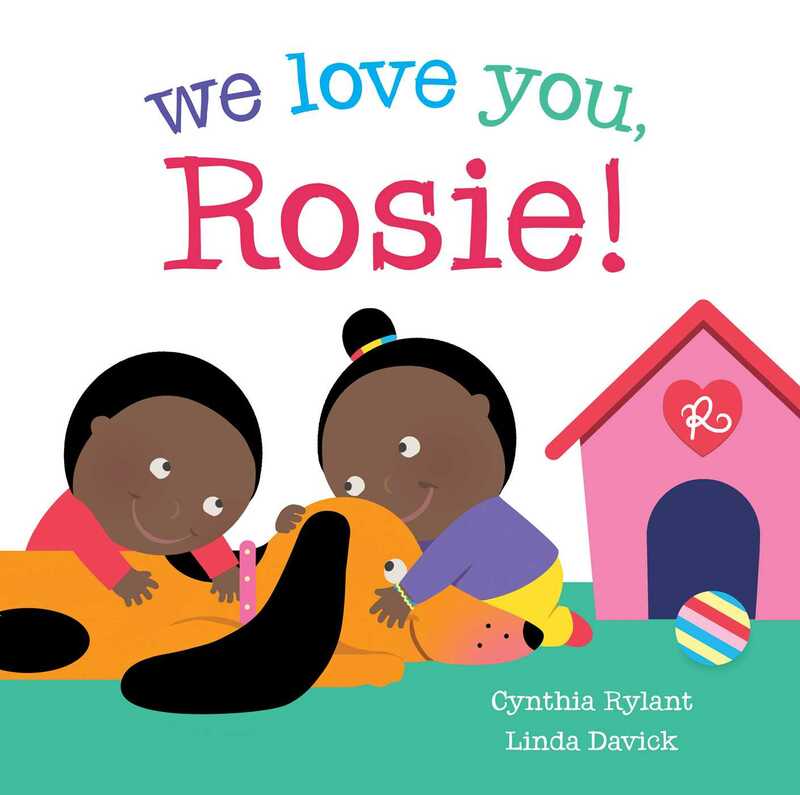 Book Cover Image (jpg): We Love You, Rosie!